The 2018 Sig Sauer Fort Benning Multi-Gun Challenge was held Nov. 15-18 at Krilling Range at Fort Benning. The match required shooters to use at least three firearms — pistol, rifle and shotgun — at targets staged from 2 to 250 yards. Horner ran through 12 stages against over 240 competitors, popping off an impressive total of 547 rounds in 9 minutes. Horner’s load out included Sig Sauer M400 Competition Rifle equipped with Tango6 Riflescope, .223 Rem Sig Elite Match Competition Ammo and Sig Kilo2400ABS Rangefinder for the long-range shooting portion. 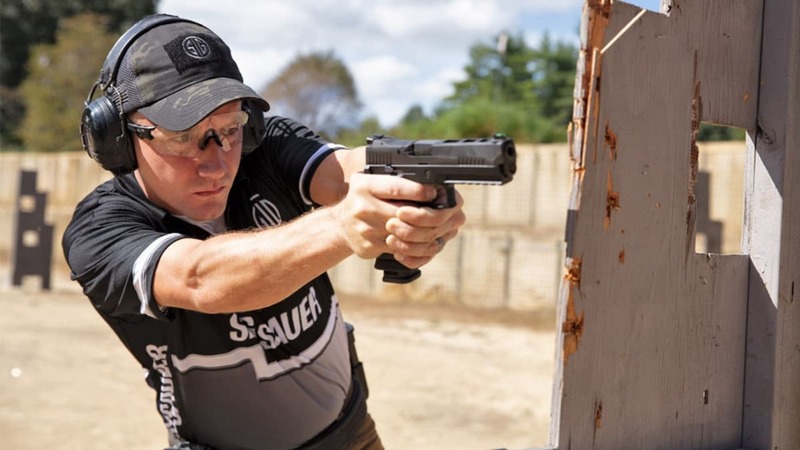 Horner used P320 XFive pistol with iron sights and Sig 9mm Match Elite Competition Ammo for the pistol competition. Horner’s addition to Team Sig was announced in October. Horner, a U.S. Army veteran, previously competed with the U.S. Army Marksmanship Unit where he quickly became one of the most decorated shooters in team history. Horner also served as coach of the USAMU Action Shooting Team.